In a recent 107-page ruling, a California judge called Bank of America’s behavior in handling a foreclosure “heartless” and “brazen”. The circumstances surrounding the case began in late 2009 when the Sundquist family of Sacramento, California requested to modify their home loan. The Sundquists spoke with Bank of America, who directed them to default on their loan in order to be eligible to modify their loan. The couple reluctantly complied with this request and unbeknownst to them a debacle would ensue. Over the following year the Sundquists submitted nearly 20 loan modification requests, all of which were routinely “lost” or determined to be “insufficient”. Ultimately, the proceedings left the Sundquists with no choice but to file for bankruptcy. By law the bankruptcy should have stopped foreclosure proceedings, however, Bank of America proceeded to evict the family as though the bank had acquired ownership of the property in the foreclosure. Following the eviction notice, the Sundquists left their property, but later discovered the previous home was still theirs–Bank of America had not in fact acquired the property in the foreclosure and further failed to notify the Sundquists that they still owned the property. To make matters worse, while the family was gone the home had been robbed and the neighborhood HOA fined the family for $20,000.00 due to lack of aesthetic upkeep. The situation caused severe trauma to both Erik and Renee Sundquist, who both suffered serious health repercussions as a result of the events. 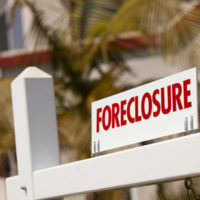 The years-long foreclosure battle culminated with Judge Christopher M. Klein ordered Bank of America to pay a $46 million in damages. The Sundquists will receive $1.075 million while the rest will go towards punitive damages paid to fund law schools and various consumer advocacy groups in order help prevent actions like this in the future. Judge Klein levied such a harsh punishment as an admonishment to the top-level management of the bank. Bank of America used the policy of “dual-tracking” in handling the Sundquists situation, that is concurrently pursuing foreclosure and loan modification. This process resulted in the heartless events that unfolded. If you are struggling with foreclosure or debt collection it is important to know that help is available. Under no circumstance should you succumb to the harassment of banks or debt collection agencies. If you are in need of help contact Sarasota-based Moran, Sanchy & Associates to discuss your rights. Their team will work to ensure you are being treated fairly and will maintain confidentiality above all else. Do not leave your home and livelihood to chance Get the help you deserve today.